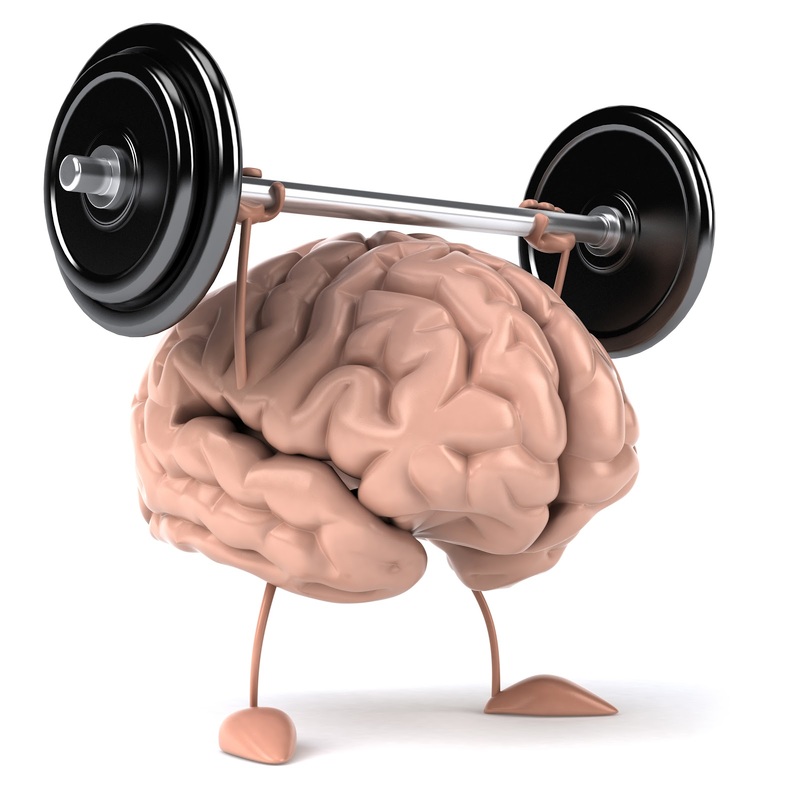 Be World-Class - Build Your Mental and Emotional Muscles for Sport ... It's Time to Step Up Your Game! What If You Could Become the Athlete You Wanted to Be? Are you interested in becoming a more self-aware, self-confident, mentally tough, organized, focused athlete? These are all the skills world-class athletes have and you can have them too! Very few athletes (in any sport) ever formally develop the mental & emotional "muscles" needed to be a consistent, sustainable high performer. They hear and know that sport is "90% mental", but they aren't proactive to develop the skills. As a result, they go up and down, lose motivation, struggle and ultimately fall short of where they want to go. There is a wonderful opportunity for you in developing your mental and emotional capabilities through your passion - your sport! Not only will the "Be World-Class" program help you transform your athletic performance, but you will prepare yourself for performance excellence in everything you do in life including school, career, leadership & relationships. We see this everyday working with some of the world's leading athletes & performers. You must be proactive, take action and be the athlete you can be by building your mental & emotional muscles! Be World-Class is a simple, convenient, substantial, world-class solution to develop your skills and help you maximize your talent and abilities. "Be World-Class" is a leading-edge performance solution to help you develop your mental and emotional "muscles". At the request of athletes, clients, parents, agents and coaches, Be World-Class was created to provide a convenient, performance-changing online solution for you, the athlete. The program can be completed in your own time - at home or while traveling. It is completely mobile friendly. activities & exercises - articles, books, podcasts & quizzes - all designed to reinforce the ideas and behaviors. the very best from performance psychology, sports psychology, emotional intelligence, executive coaching, business planning and neuroscience. This program is not about tips and tricks and short-term solutions. It is the introduction of a sustainable, long-term performance platform for you - the modern athlete. 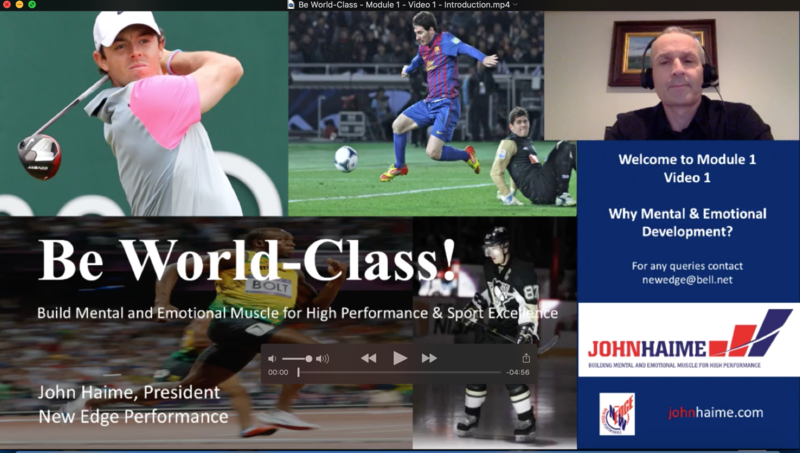 World-Class Content - designed, developed and delivered by leading High Performance Coach John Haime - coach to some of the world's leading athletes. Your "Own" Coach - world-class Coach John Haime coaches you over the 12 week period - through video lessons & exercises. Accessibility - you have the unique opportunity to directly ask questions to a Coach - and they will be answered! Progressive Program - each week's content builds on the next. Holistic Approach - yes you will become a better athlete, but the skills are transferable to school, your career, leadership and relationships ... and everything you do! Choice of Leading Sport Organizations - the choice of some of the world's leading athlete development organizations including The Asian Institute of Sport - the leading athlete development organization in Asia. Choice of Leading Athletes - used by world-class academies, leading private schools, NCAA Div 1,2,3 programs and professional athletes from the major sports leagues. Module 5 - The Impact of Emotions on Your Sport Performance - Don't Allow Your Emotions to Run the Show! Module 7 - Building Resilience and Grit in the Modern Athlete - Be Mentally Tough! We 100% guarantee the Be World-Class program. A refund will be provided if you are not fully satisfied. What are People Saying About Be World-Class? "Impressed! This is exactly what we were looking for for our son. Can already see the difference. He has his plan and is bringing the lessons to his practice and games." "Awesome program. Simple, easy to follow and love the fact we have access to John and can ask questions ... and have them answered!" "The kids are really enjoying the program. We have just completed Module 5 and such a big thing for kids to recognize how important it is to understand emotions in sports." "I am enjoying the program very much and it has already changed my approach to my golf practice and play. I am a surgeon by profession, but my passion is golf!" As an athlete, why should I do this program - does it mean there is something wrong with me if I work on mental/emotional skills? All athletes work on the technical, physical and strategic skills in their sport. But, at some point, they realize they are missing a component that will help them maximize their abilities. The Be World-Class program is natural development for you in sport. There is absolutely nothing wrong with you if you are working on mental/emotional skills. It gives you the edge to maximize your abilities and get to the top. We all know that sport success is determined by the mindset, so spend some time developing the skills. 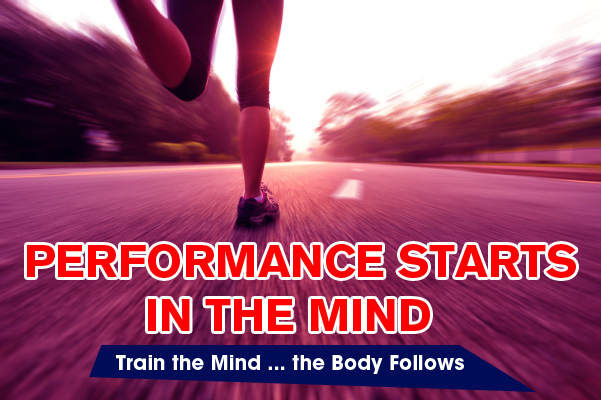 Developing the mind to its fullest capabilities is the next frontier in sport - start now and be ahead of the curve! We structured the program for you to spend about an hour each week for 12 weeks. Some weeks are a little longer. There is a book to read in the first week, but we suggest users take their time and read it over a number of weeks. Podcasts also take a little longer to listen to. We know athletes have other things to do. The idea is to take the exercises, activities and ideas into your everyday routine right away and work on them so they become habit. What if I want to do the program faster? We do suggest you take the full 12 weeks to complete Be World-Class so you can dedicate time to each fundamental - and you aren't rushing through the program. We want to make sure you are doing the exercises and have a chance to practice them. When should I do it - what time of year? The program can be done during the season or in the off-season - it depends on your schedule. It can be done when you are traveling during the season, done in the evening or a scheduled time during the week. Developing your mind is not seasonal - it always needs work! What happens if I don't improve after the program? Development takes time - especially development that is meaningful. You will be learning about - and working on - key fundamentals that are critical to your development as an athlete over 12 weeks and putting them into your everyday routine. If you follow the plan, you will see improvement and changes in your behavior. You will also be included in our private Facebook page that will keep your learning going, connect you with other athletes - helping you continue your development. Please Contact Us with any questions! We would be pleased to speak with you about club, school, academy or team pricing. An alternative Monthly Payment Option is available for your convenience. Please see the top and bottom of the page for our 3 month option. Start now on Module 1 and become the athlete you can be! John Haime is President of New Edge Performance and a world-class Performance Coach. A former professional athlete and current bestselling author of “You are a Contender! Build Emotional Muscle to Perform Better and Achieve More … in business, sports and life”, John understands how athletes think and feel … he’s been there – under the most intense pressures of amateur and professional sports. As a world-class coach in the area of performance and one of the world’s leading authorities in Emotional Intelligence, as it relates to performance in sport, John coaches athletes in all sports, executives and artists in a variety of performance areas. He is trusted by some of the world’s leading athletes – professional and elite amateur. His clients include athletes from all of the major professional sports leagues - including the NHL. He regularly works with athletes in the World Top 50. He looks forward to coaching you and sharing his experience. To learn more about John's experience see http://johnhaime.com/bio/. Module 1 - Why Mental & Emotional Development for You? Video Lesson 1 - Welcome! Video Lesson 2 - Why Mental & Emotional Development? Video Lesson 1 - What is Self-Awareness? Module 4 - Self-Confidence - Be Proactive! Video Lesson 1 - What is Self-Confidence? Video Lesson 3 - Be Proactive with Your Self-Confidence! Video Lesson 1 - Why You Must Have a Sport Plan! Video Lesson 1 - Why Resilience & Grit? Podcast - Learn How An Elite, Challenged Athlete Shows Resilience and Grit - Be inspired! Video Lesson 2 - Pressure is Positive!